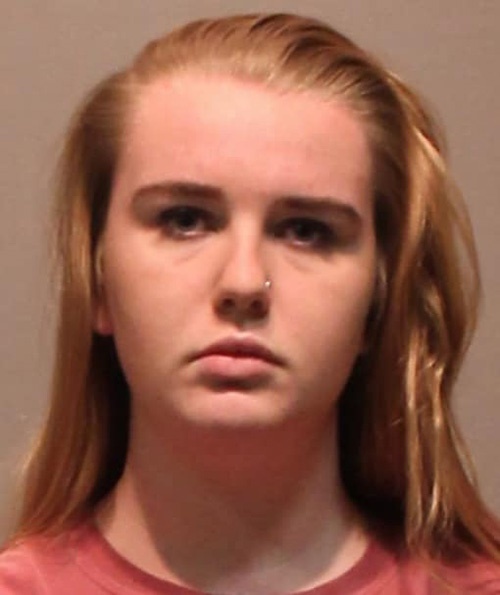 Buzzfeed has reported that Brianna Brochu, a Connecticut student now faces charges of intimidation based on bigotry or bias for contaminating the belongings of her roommate Chennel Rowe. The former first year student had been trying to get rid of Rowe for six weeks by infecting her toiletries with bodily fluids including used tampons. “After one and a half months spitting in her coconut oil, putting mouldy clam dip in her lotions, rubbing used tampons on her backpack, putting her toothbrush places where the sun doesn’t shine, and so much more, I can finally say goodbye to Jamaican Barbie,” the caption read. Then she took it a step further by unashamedly sharing more pictures of her vile acts on her private Instagram account. Back in Mzansi, it was just last week when two University of Pretoria (TUKS) students made news for a racist rant also shared on social media. According to Buzzfeed, Brochu turned herself in to the West Hartford Police Department over the weekend. Meanwhile, Rowe's candid live Facebook video has gone viral. In this video, Jazzy (as she's affectionately known) explains how she experienced throat pain a month after moving in and discovered Brochu's bodily fluids in and around her belongings shortly after. The hashtag #JusticeForJazzy has since spread on social media to show support for Rowe who has now moved to a different room. And back in Mzansi, it was just last week when two University of Pretoria (TUKS) students made news for a racist rant also shared on social media. The video of Catherine Reynders and Bodene Benade repeatedly shouting "f**** k**f***s" was shared accidently on their physiotherapy Whatsapp group and made its way straight to Twitter from there. If the k-word is readily available in your lexicon when you've had a few drinks, it surely means you use that type of language to refer to black people on a regular basis. Even more concerning is how the video was meant for the eyes of another friend who is probably equally racist, which means that one can only imagine that there are entire squads casually throwing out racial slurs and racist memes as a friendship love language. And how they made a point of mentioning that they hoped their black friend would never find out their true colours. But thanks to the power of the screengrab and share button, The Citizen reports that not only have the two students been allegedly suspended but the Cyril Ramaphosa Education Trust has withdrawn Reynders bursary and Blue Bulls rugby has axed her as one of their cheerleaders. In a country like South Africa this is obviously not an isolated incident. And while I have never had a roommate (not to mention one like Brochu), I have definitely witnessed racist white students in action. Let me start by mentioning the white girls who don't use the bathroom after seeing a black girl has used it before them. And the strange phenomenon in my former dining hall, where black people and white people literally sat on opposite ends of the dining hall (not necessarily intentional, but it looked 1956 AF). Oh and rumour had it that before my time there was a male res at my alma mater that had a "wall of shame" for white guys who drunkenly made out with girls of colour. A white fine arts student at Rhodes University did black face as part of her assignment last year under the guise of "inspiration and not offense" or some other lacklustre excuse to that effect. Needless to say, her post was eventually deleted after some debate. Another TUKS racist duo dressed up as domestic workers (including black face and extra padding for their bottoms) to a 21st birthday party. A News24 article stated that the two girls got expelled from their residence. And remember Luister? This was an extremely heartbreaking documentary about the how students of colour navigate the daily institutional racism they experience at Stellenbosch University - aka Apartheid Legacy Central. But wait, there's more. In case you missed it in 2015; a UCT student urinated on a taxi driver's head from the balcony of Tiger Tiger, the popular Claremont student nightclub where guilty feet used to dance with no rhythm. News24 reported last year that Djavan Arrigone was found guilty of crimen injuria for the incident. The taxi driver (whose name I'm withholding to save him further humiliation from his community) may have not been a fellow student, but the fact that a post-apartheid university student can still act in such a sickening manner reveals how racism continues to thrive within a generation that is supposedly more progressive, socially aware and remorseful about the past. Both racial microaggressions and explicit racist attacks continue to be gross concerns in South African universities. 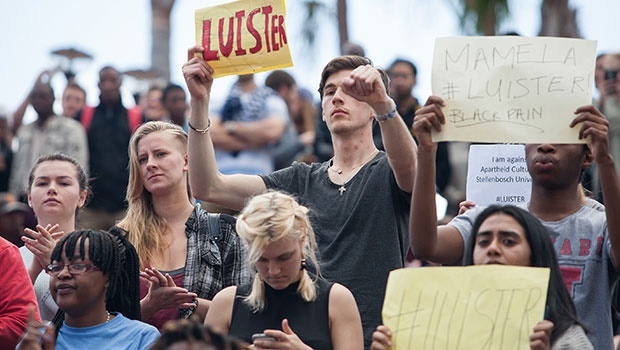 Sometimes justice is served, but we see racism go unchecked way more often. What's even worse is that it's students - a lot of whom were born the same year as our democracy - acting hatefully towards their fellow classmates and res peers, which begs the question; should we just accept that bigoted born-frees are the evil twin of democracy? Will it ever stop?